I have had one complete series staring at me in my long boxes, begging for a re-read, for some time now: H.E.R.O. by Will Pfeifer. 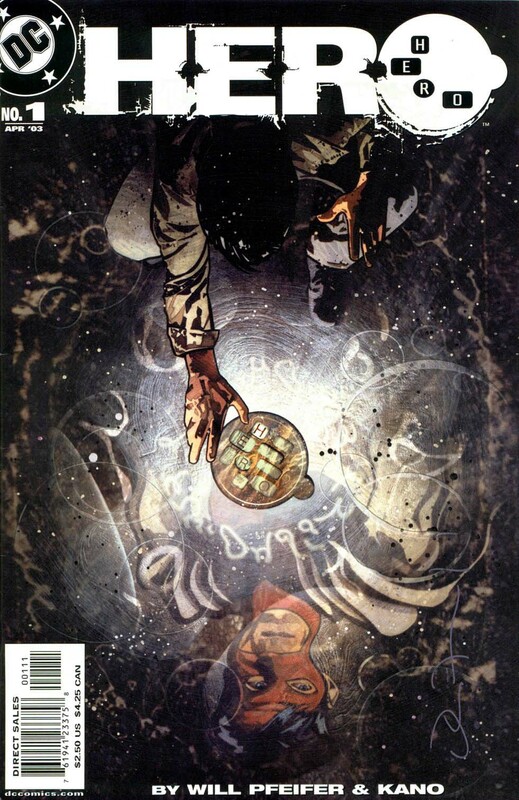 This series premiered in 2003 and lasted for 22 issues but if you have all of them, it makes for a great story. Many Silver Age fans remember Dial H for HERO, a series of short tales featuring young Robby Reed, who discovered a mysterious dial that would transform him into a variety of weird superheroes to save his small town in Colorado. Robby's adventures were the ultimate childhood wish fulfillment. What would happen if an adult had the dial and became a superhero? Jerry transforms into a hero and discovers the joy of flight, super-strength, and the ego-boost that comes along with it. But everything goes wrong soon afterward. Jerry can't control his powers, he makes mistakes, even causes his sweetheart to get injured while foiling a robbery. He even tries to commit suicide in a glorious manner. An executive who becomes so addicted to the Dial that he loses his family and job. A school girl who uses the Dial to become part of the in-crowd. A group of amateur filmmakers who use the Dial to perform Jackass-like super-stunts. A heterosexual construction worker who uses the Dial but gets transformed into a woman. Lesson: if you become a babe that Adam Hughes would like to draw, don't drink beer with your buddy. The ending to this tale is not feel good at all. A third rate crook who uses the Dial to become a super-villain in Gotham City. A caveman who becomes the first person in history to use the Dial. Why would a Dial with English letters appear so early history? You might blame Pfeifer (like I did) but the answer appears later. All of these tales are just superb. Brewing in the background as a sub-plot are glimpses of the adult Robby Reed, who is in prison and struggling to learn of the Dial's location. Just when you think Pfeifer is trashing another Silver Age icon and infusing him with Modern Age darkness, all is not what it appears to be. H.E.R.O. #15 brings Robby back into the series front and center, and he becomes the protagonist for the final arc of the book. 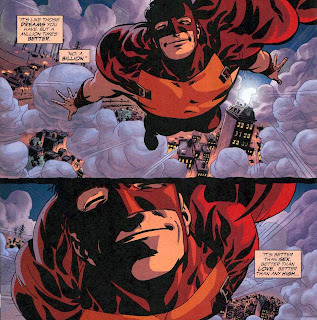 Robby locates Jerry Feldon, the character from the first issue, and explains his childhood relationship with the Dial. The last time he used the device it gave him the ability to witness a terrible event in the future--which is about to happen in the current timeline. But the gizmo stopped working for Robby and he threw it away. He married his childhood sweetheart and tried to settle down but discovered that he retained some of his Dial-related powers. Meanwhile, the latest person to find and use the Dial is a serial killer, who shows very little restraint using his powers. Jerry and Robby go on a quest to stop him and the previous users of the Dial are recruited on either side of the battle. The last issue wraps up things neatly and there is a bit of a cool Mobius loop tying everything back together. The artist for H.E.R.O. 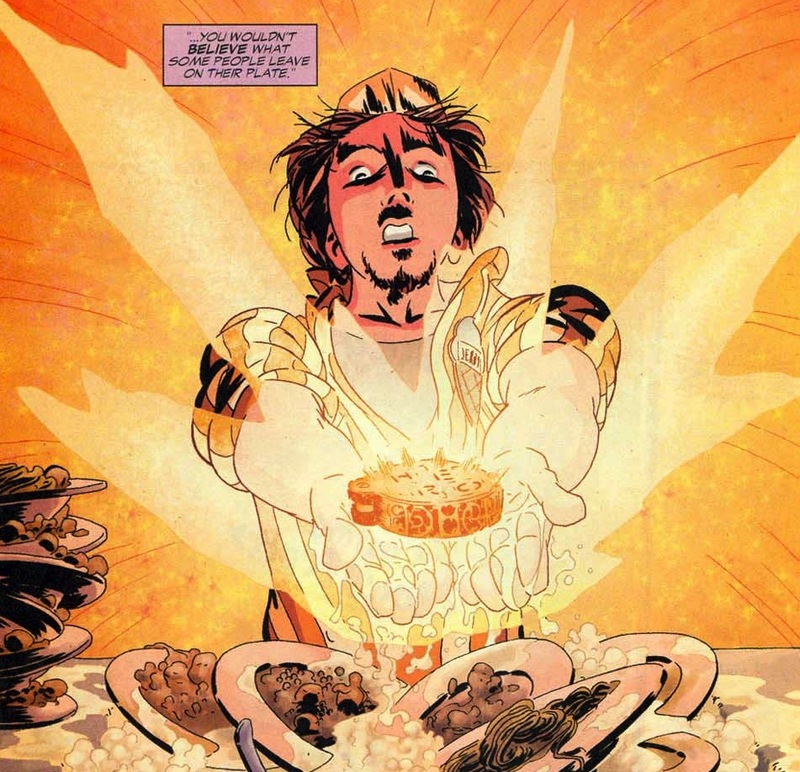 #15-22 is Dale Eaglesham, who did a very nice job with both the action and emotional scenes. I enjoyed re-reading this series immensely. Lots of fun and several details hung well together when I read the issues back to back. I remember originally reading the final arc and getting confused about who the returning characters were. Why didn't the book catch on when it was published? Hard to say, the writing and art were top notch and people like Geoff Johns were trying to give it a push. I have to wonder if the covers for the first year or so held it back. These covers were painted and well done, but from far away, you might think this was a Vertigo title. During the Robby arc, they switched to more super-heroish covers by Jason Pearson. But that didn't help sales either. The lack of interaction with the DC Universe might have hurt sales. Dial H for HERO is back in the spotlight, with news that China Miéville is writing a new series for DC Comics, starting this May. He is a big fan of the Silver Age material and has read Pfeifer's run. It will be interesting to see where he takes this concept. I just wish he would have someone say Sockamagee! every issue. Nuff Said! Your retro-review inspired me to dig up all 22 issues for a re-read as well. Well done!